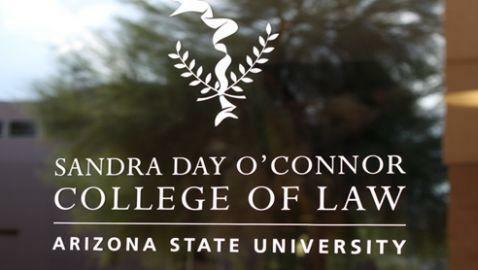 The Sandra Day O’Connor College of Law at Arizona State University announced via a press release on its website that the school will provide students from the United States and Canada to obtain bar admission in both countries with a brand new North American Law Degree. The degree will permit students to graduate within three years with a J.D. that helps them seek licensure in Canada immediately without added coursework. The program would also qualify the students for admission to the bar in the United States. The dean of the law school, Douglas Sylvester, is a dual citizen of the United States and Canada. He has graduated from schools in both countries as well. • A three-year program that seeks to fulfill all substantive J.D. bar requirements in common-law Canada and the U.S. The former Executive Legal Officer of the Supreme Court of Canada, Eugene Meehan, Q.C., said that the program is important and innovative. Meehan is also a previous National President of the Canadian Bar Association. He is a practicing member of bars in Arizona and Canada.